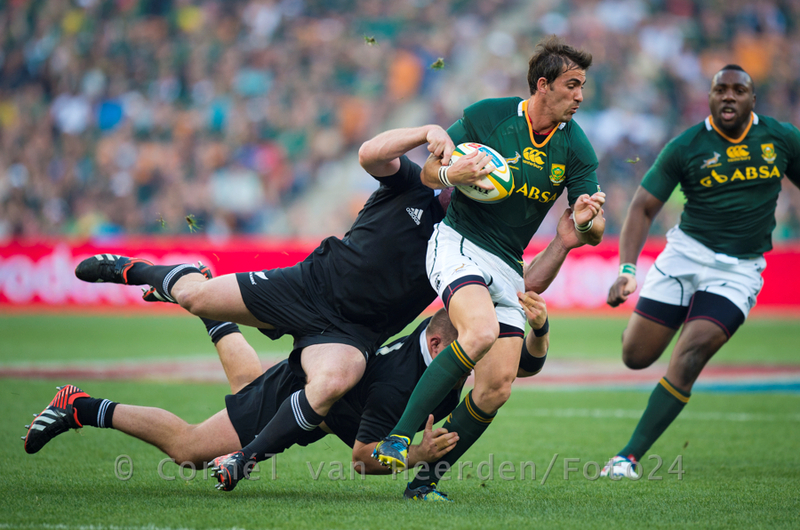 I don’t do as much sport as I would like, but I was lucky enough to do this test match. 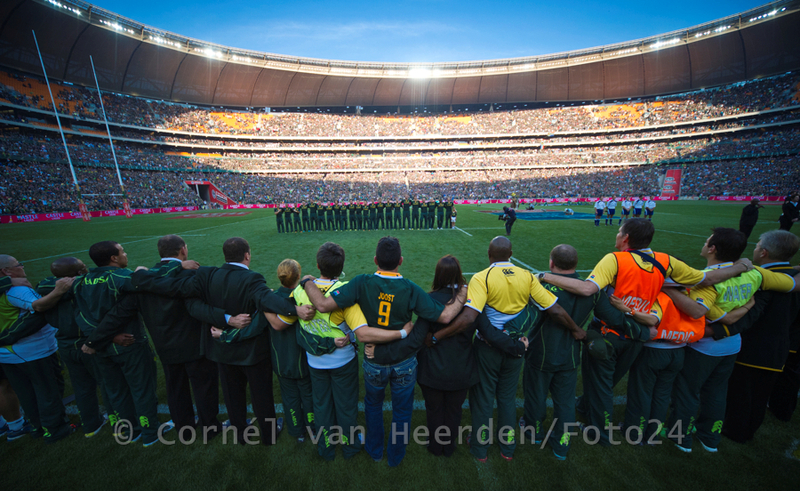 The All Blacks already won the tournament on points, but Boks supporters was hopeful of a good game after the Boks had a great game of rugby against the Wallabies last week. 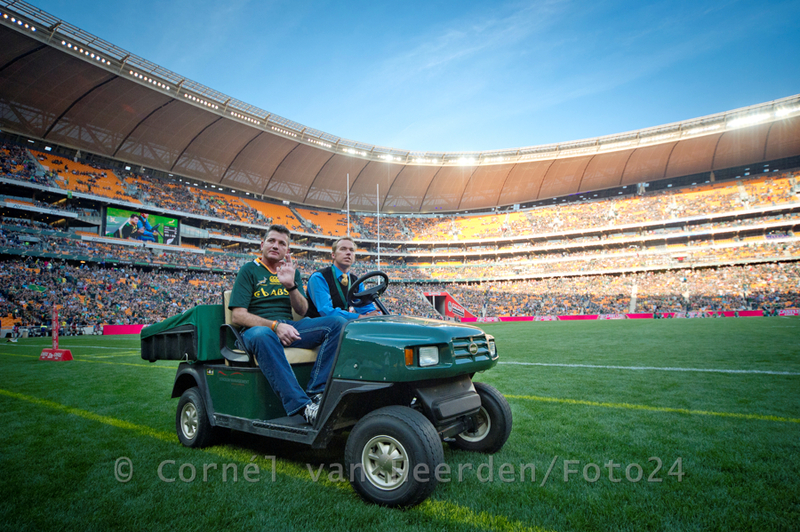 It was my first sport being shot at Soccer City and hopefully not the last, as I think everyone will agree that Soweto has such a great vibe. 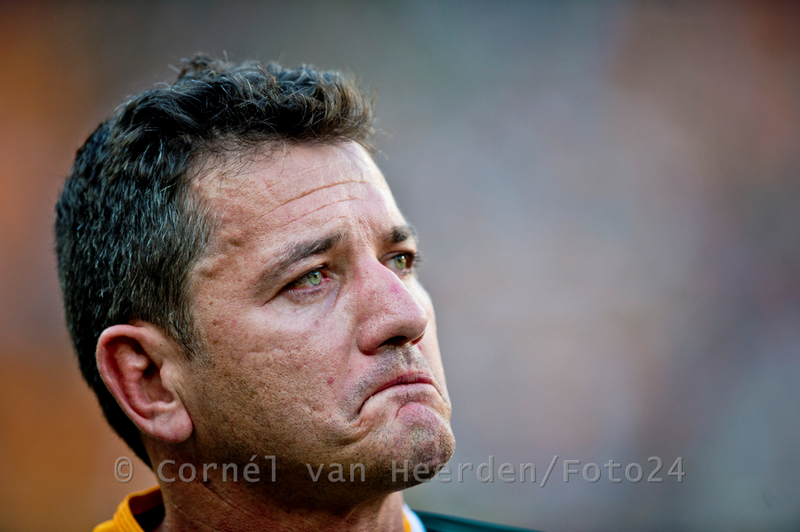 Joost van der Westhuizen before the game. 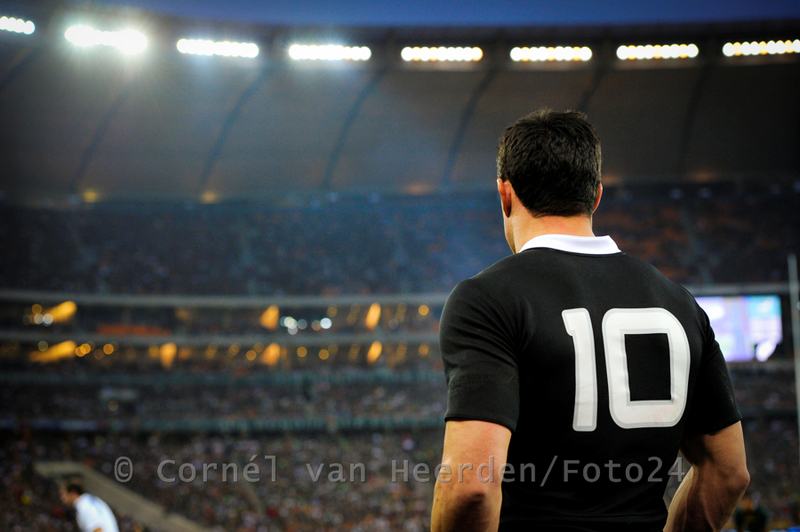 He is sick with a muscle sickness and honored as rugby player. 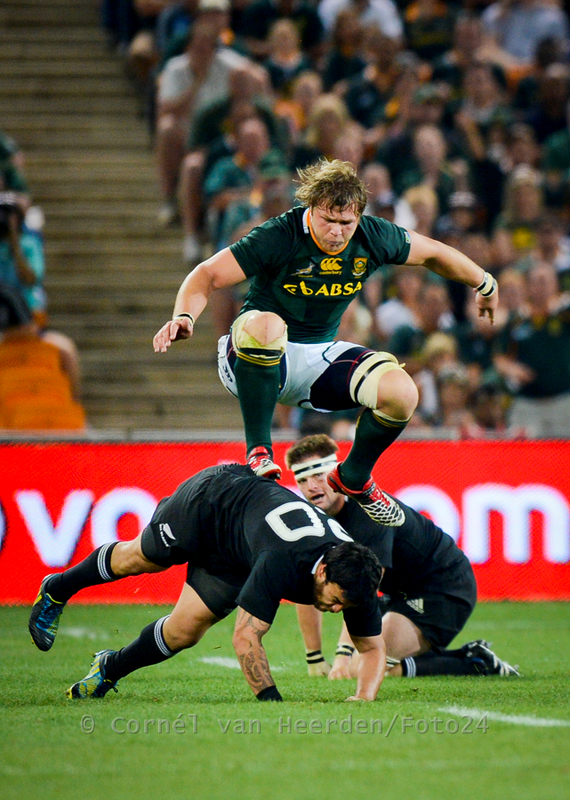 Duane Vermeulen jumps over Piri Weepu. 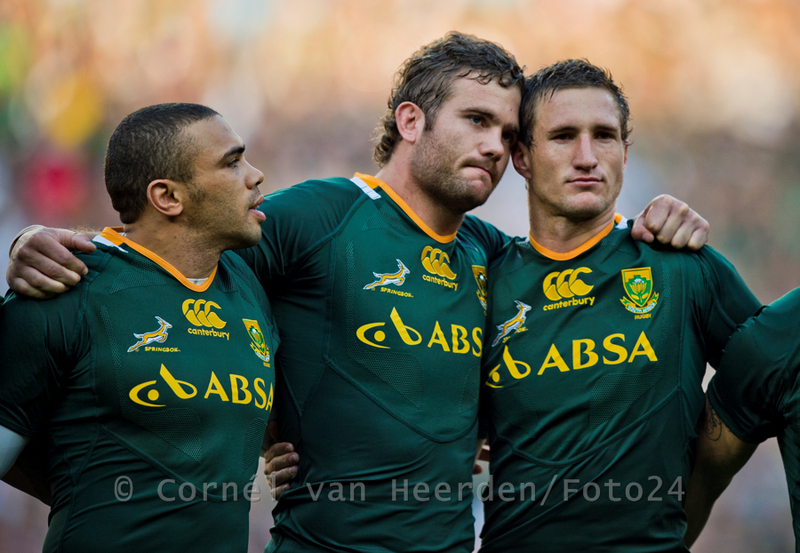 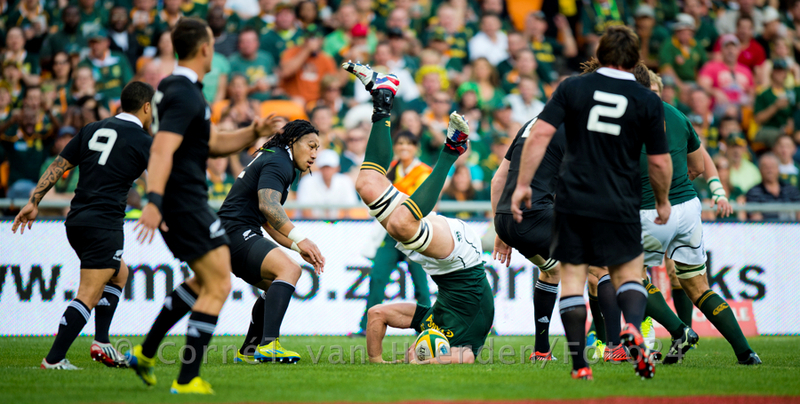 Duane Vermeulen gets tackled before the try line. 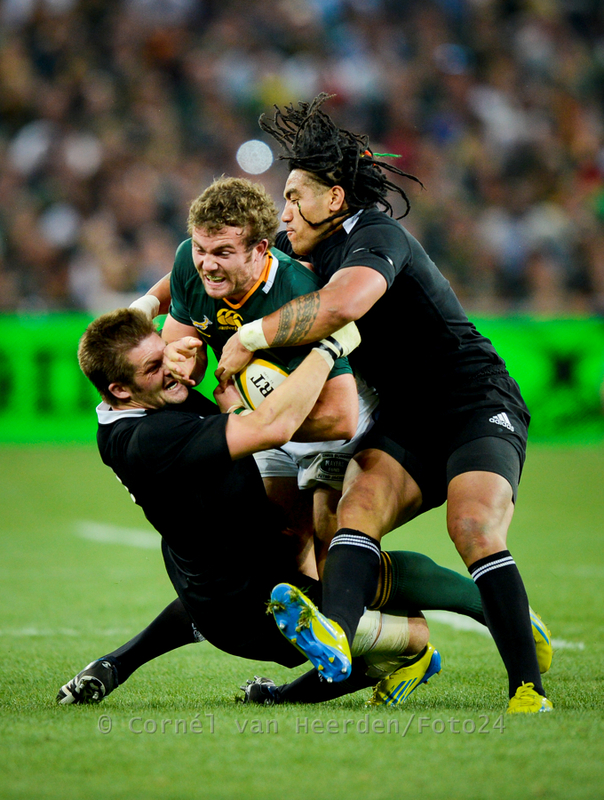 Jaco Taute gets sandwiched by Richie McCaw and Ma’a Nonu. 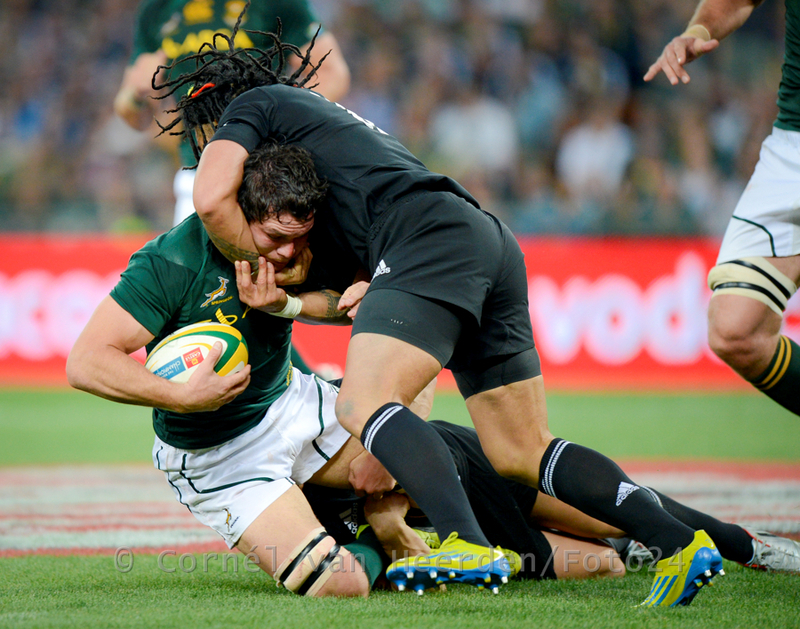 Ma’a Nonu gets Francois Louw in a headlock. 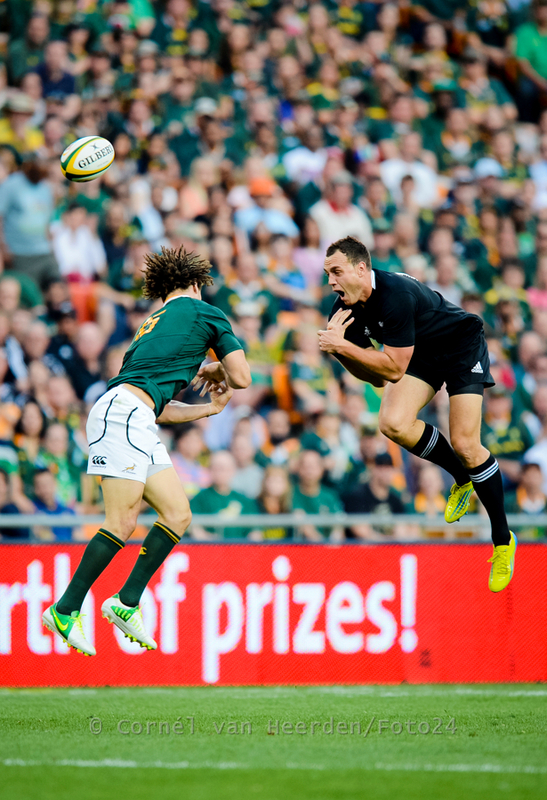 Zane Kirchner and Israel Dagg compete in the air for the ball. 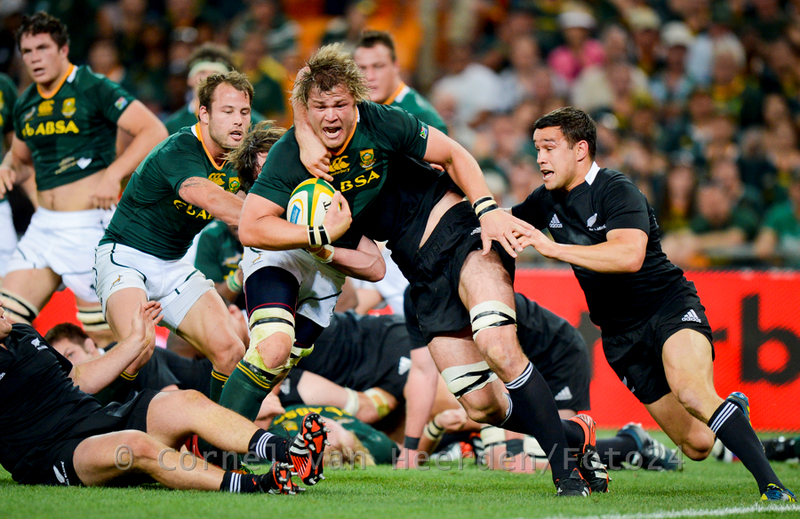 Andries Bekker falls face first after being illegally tackled by Brodie Retallick. 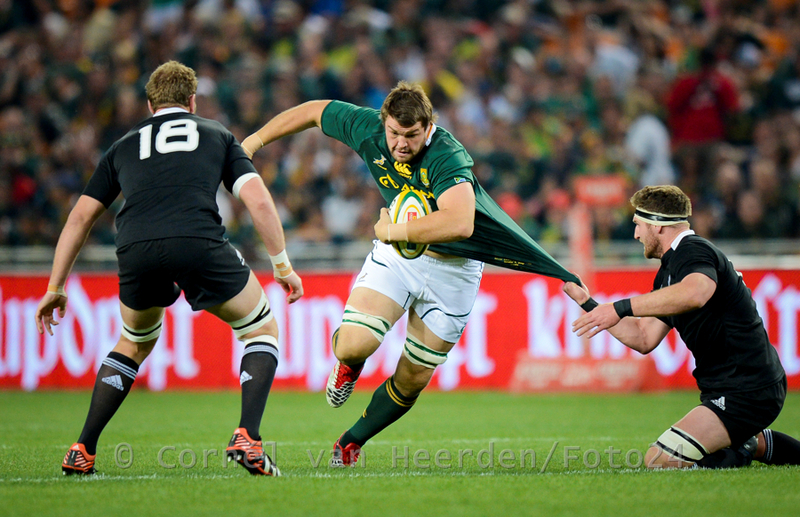 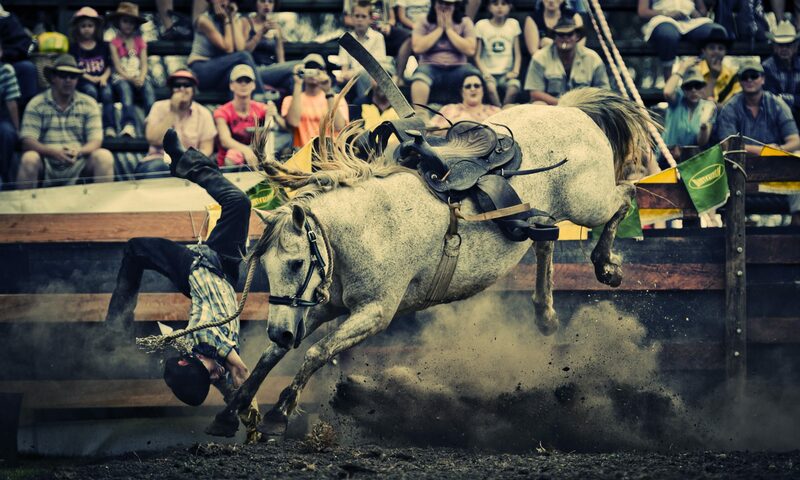 Brodie later was issued with an off-field yellow card for this illegal play. 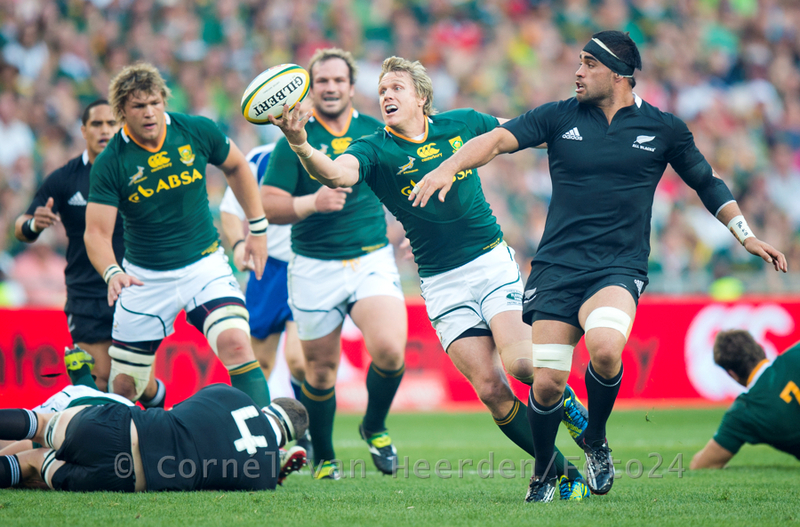 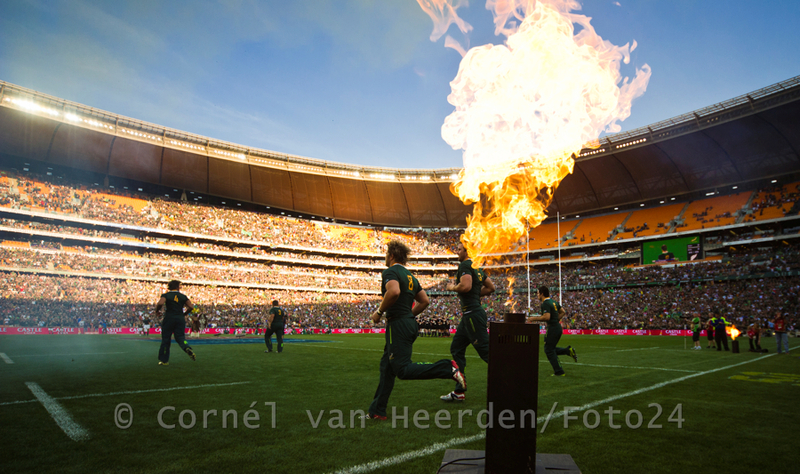 Jean de Villiers and Liam Messam go for the ball. 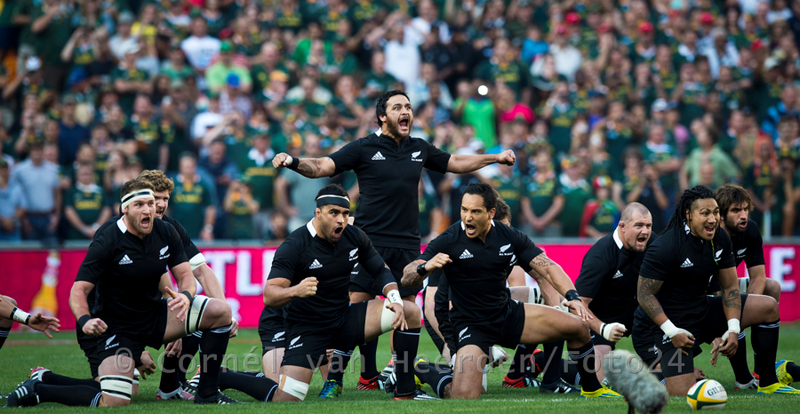 All Blacks performing the Haka. 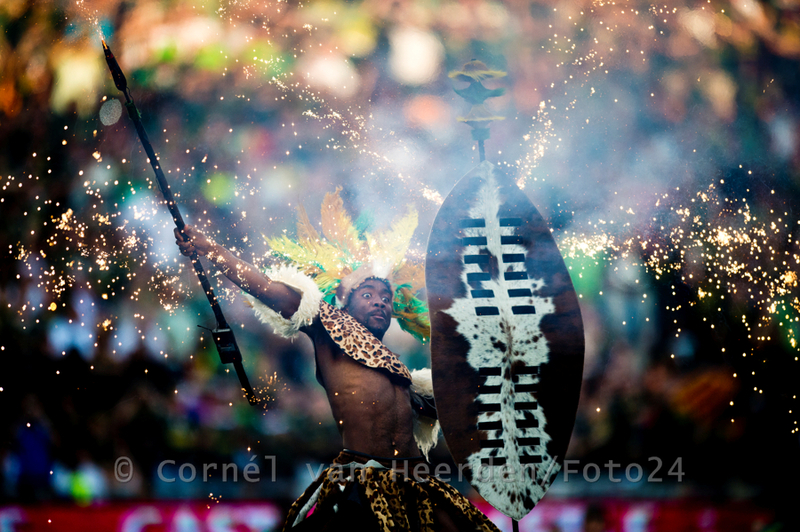 A Zulu warrior as part of the pre-game show. 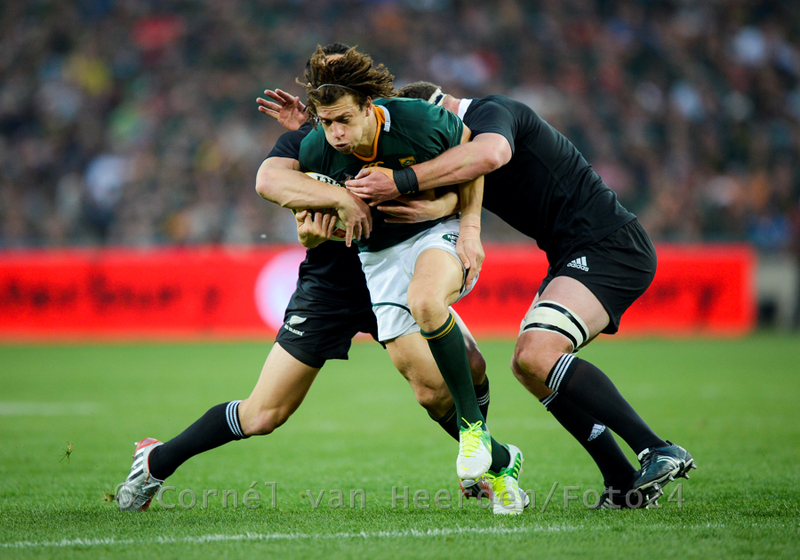 Elton Jantjies gets tackled heavily.